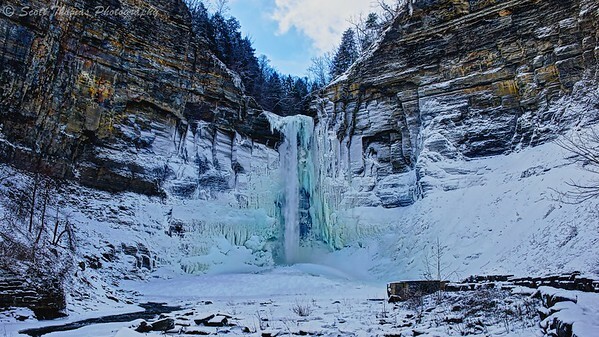 Taughannock Falls State Park near Ithaca, New York on a cold January day in 2013. Off all the special places I love to spend time at and photograph, Taughannock Falls State Park near Ithaca, New York has become my most favorite. The stunning natural beauty and the forces which created it always give me pause. It is a place I travel to when I am in need of inspiration or peace anytime of the year. This week’s weather in my area reminded me of a similar time back in 2013 at My Special Place. Do you have a special place? If you do, share in the comments below or maybe write your own blog post and share it with me. This entry was posted in Nature and tagged 28-300mm, ice, intensify pro, ithaca, macphun, new york, nikon D700, snow, state park, taughannock falls, vr, waterfall, winter. Bookmark the permalink.